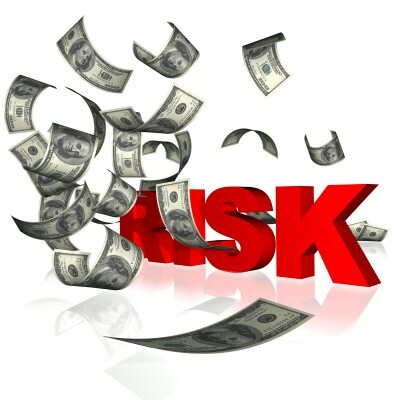 Paying Cash to Avoid HST– What’s in it for the Contractor/Service Provider? A few weeks ago while waiting in line at the bank, I overhead a customer in front of me bragging to his friend about how he had saved several hundred dollars in HST by paying a painter in cash. I thought to myself, besides being illegal, this guy was totally oblivious to additional tax benefits he had conveyed upon the service person by paying him the full price of the service, sans HST. So, I thought today, I would discuss the overlooked aspect of why (other than competitive pressures) any supplier, service provider, contractor, professional etc. would agree to an illegal act by accepting cash for their services? This question brought me back to an article Roma Luciw of the Globe and Mail wrote in September, 2012, titled “Most Canadians have paid under the table to avoid tax" in which she stated that “Most Canadians have paid cash in order to avoid the sting of taxes – and they don’t feel bad about it either, according to a new poll.” Roma noted that for 2008, Statistics Canada reported the underground economy in Canada to be in the ballpark of $36 billion dollars – a staggering figure. Any cash payment for services or goods has two distinct components: (1) the avoidance of HST and (2) as I note above, the avoidance of income tax. I don’t think many people give much thought to the second issue when they pay cash for services, so that’s the area I want to key on in my post today. Let’s return to the person in line at the bank. It is clear he illegally saved 13% in HST and based on Roma’s article and the attitude of most Canadians, he probably did not lose much sleep over the matter. But how about the painter who provided the service, how did he make out? Let’s take a look at his situation. Say the bank-goer paid the painter $1,000 in cash. Let’s also assume that the painter paid his assistants $400 in cash to help paint the house. The painter collects $1,000 in cash. He then pays $400 in cash to his workers. He now has $600 (tax free) under his mattress. But what if the bank-goer had refused to pay cash and the painter recorded the transaction properly in his books? The painter (in Ontario) would have collected $1,130 including HST. He would then remit $130 in HST to the CRA (it is important to note, the painter is essentially a tax collector for HST and there is no cost to actually collect HST since he receives $130 HST and then just remits it to the CRA). The painter now has $1,000. He then issues cheques totalling $400 to his assistants as either salary or subcontract fees. The painter would report $1,000 of income in his books and claim an expense for $400, leaving $600 to be taxed. Assuming the contractor is in or would be in the 35% income tax bracket if he reported all his income, he would owe $210 of income tax ($600 profit x 35%). At the end of the day he, the painter would have $390 left ($600 - $210 tax). Based on the above, although illegal, the painter benefited by $210 because he accepted cash. The bank-goer saved $130 by paying cash. So essentially, the painter benefited 1.5 times the bank-goer for the risk he took in evading both HST and income tax; some would argue that is an illegal win-win for both the consumer and service provider. What if the $1,000 cash was paid to a professional who did not require any assistance in providing his/her professional services? He or she would receive $1,000 and would keep it all. Since the professional would probably be in the 46% tax bracket, they would save $460 by accepting the cash. In this circumstance, their tax savings would be approximately three and a half times the savings of the person not paying the HST on the service provided. It goes without saying that not paying HST and income tax is illegal. I am not in any way condoning the payment of cash. My intention in posting this blog is to point out how much money leaks out of the system when people pay for services or goods in cash and how the service provider benefits to a much greater extent than the consumer for taking the risk of evading income tax. I would like to take a minute to point out an initiative that I think is worthwhile and fun for stock pickers and closet stock pickers alike. I’ve participated in the Blog for Financial Literacy Campaign and created the Bloggers for Charity Initiative … and as you know, I feel strongly that everyone should work towards financial literacy and help those less fortunate wherever and however possible. Steps Foundation, an organization that supports financial literacy education programs in Toronto, is holding its “Bay Street Stock Market Challenge” this week (June 25-July 26) to raise money for financial literacy education. I hope you have time to check it out and test your market and investment knowledge with their virtual stock and option trading. 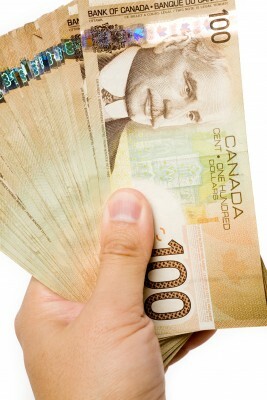 (I’m told you are given $100,000 USD and $100,000 CAD of virtual money. The participant with the highest portfolio value at the end is the winner and claims 50% of the event’s proceeds). As a side note, a portion of the funds raised during the competition will help Steps Foundation continue to fund a debt management clinic at WoodGreen, a charity my firm has been actively involved with. The firm and staff have donated money and one year the whole firm spent a day during the summer building furniture for the single mothers who work hard to get education and jobs to provide for their children. So please consider entering the contest and supporting financial literacy, although it will be tough trying to beat me :). Today I have a guest post by Katy Basi on digital assets and how they need to be considered and reflected in your will. This is the second post in a three part series by Katy. Previously, I posted Katy’s blog on New Will Provisions for the 21st Century –RESPs which dealt with RESP issues that one must consider when drafting a will. Katy’s final installment on Reproductive Materials will be posted sometime in the fall. So without further ado, here is Katy’s very interesting post that considers everything from your Facebook page to any domain names you own. My only question is, does Katy think any guy has even seen the Princess Bride? The treatment of “digital assets” upon death is a hot topic. First it’s important to define what we mean by the term – basically anything remotely relating to a computer may be pulled into this category. One very interesting paper on the topic divided digital assets into five categories: devices and data, e-mail, on-line accounts, financial accounts and on-line businesses. (If you’re interested, check out this paper by Kristina Sherry titled “What Happens to Our Facebook Accounts When we Die? 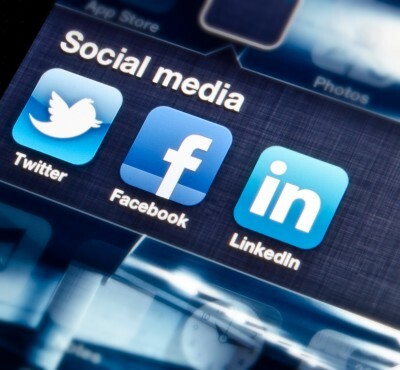 : Probate Versus Policy and the Fate of Social-Media Assets Postmortem”). Since I draft wills and help executors administer estates, my main concern is with the difficulties that digital assets cause for executors and whether or not I can add provisions to a will to smooth out these issues before they occur – preventative planning, so to speak. As of the time of writing, there is no legislation in Canada addressing digital assets, but some forward-thinking US states have implemented new laws. My executor shall be given access to, and may take control of, conduct, continue and/or terminate any and all of my digital assets, including domain names, devices, data, on-line accounts, whether financial or otherwise, on-line businesses, unpublished photographs, manuscripts, and intellectual property of any kind whatsoever stored digitally, property within any video game or virtual world, and any of my accounts on any social networking website, microblogging or short message service website (e.g. Twitter), or email service website. My hope is that this clause may help executors in their dealings with various on-line service providers. However, many of the providers take the position that they had a contractual relationship with the deceased, and therefore the terms of the contract govern (which are generally available in the form of policies). For example, Facebook’s policy is to memorialize a person’s timeline once they have been notified of the death. Only immediate family members and the executor can require Facebook to remove the account of the deceased. Twitter has a similar policy. If you come across the profile of a deceased person on LinkedIn, you can fill out an online form informing LinkedIn of the death and they will “be in contact with you”. Google’s “Inactive Account Manager” was introduced in the US in April. Depending on the option you select, this feature sends information about your Google accounts to your designated person if your account has been inactive for a certain period of time, or it may just delete your account. (I can’t find this feature on my Canadian Google account yet…which could just be an indication of my general lack of tech ability). In addition, you’ll see that the digital assets clause gives authority to the executor to take control of all “devices”, i.e. computers, tablets, smartphones, etc. There are cases where a beneficiary refuses to surrender the deceased’s computer to the executor, claiming that it is a personal effect to which the beneficiary is entitled under the will. The executor mainly wants the computer to access passwords saved on cookies, and ends up in an unnecessary squabble with the beneficiary. Some digital assets really are assets, i.e. they have monetary value in and of themselves. Examples are popular domain names, transferable gaming credits, a Paypal account with a credit balance, points from programs that survive death if the right steps are taken (e.g. Aeroplan), right up to an online business (e.g. Ebay). 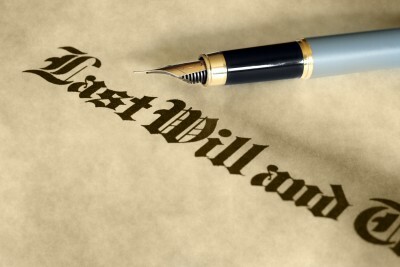 If you want these assets to go to the person inheriting the residue of your estate, then a specific provision in your will may not be required. However, if you want your gaming credits to go to your nephew Jordan, because he is the only person in the family remotely likely to enjoy them, your will better say so! 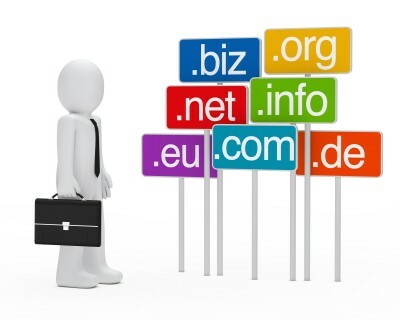 Additional will provisions may also be required if you own digital assets that require maintenance in order to keep them alive and healthy after your death, for example a domain name. 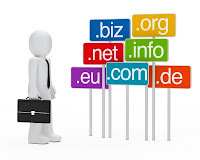 If your executor fails to pay the expenses associated with keeping your domain name active, the domain name will lapse, and may be acquired by someone else. Given the fact that our digital lives seem to change hourly, with accounts and services added or dropped constantly and passwords theoretically changed on a regular basis, your will cannot list all of your digital assets. It would, however, be helpful for your executor to know where to find a list, tangible or ethereal, of your digital assets and the passwords to access them. There are many online services that can help, e.g. Legacy Locker, Estate++. Finally, you may want to consider whether you have any digital assets that you do not want anyone to know about after your death (I’ll let your imagination take over here). In that case, you may want to find a service like Google’s that will simply cause them to disappear. I make no guarantees about how long this particular blog post will stay up-to-date. Perhaps five minutes given the rapid pace of change in this area. Enjoy the process! 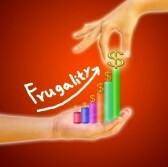 Why Spend Your Energy Being Frugal? Just Tax Plan! as opposed to increasing income and/or minimizing income taxes. As per this tongue and cheek blog I wrote titled “Old and Not Thrifty”, I admit I am not thrifty, although my wife counterbalances my lack of frugality with her ability to get a great deal. Notwithstanding my personal spending habits, any long-time reader of The BBC will know I often write about how important it is to budget and spend within your means and I reiterate this now – always be cognizant of what you are spending. However, in my opinion, if you budget well and are frugal, I think you reach a point of diminishing returns. So you save $12 on a cheaper toaster, or $1.29 on a box of cereal. Yes, those are savings, but they are immaterial in my mind once you have already proven to be a disciplined spender. Why not put all that energy into producing more income or saving taxes? Before you start sending me hate mail, this post is not intended for those whose financial situations are such that frugality is a necessity, but for those of moderate or greater income who seem to get a little carried away with their frugal efforts when they could be making a bigger change in another manner. I can already hear the cries of “Mark don’t give me the you should earn more lecture. I am stressed out as it is with my current job and life.” So, I won’t tell you to consider turning a hobby or an expertise into a side business or to spend some energy creating a case for a raise from your current employer or to spend your energy looking for a better job opportunity. Nope, I am going to give you some lazy tips from my past blog posts to save you significant money in taxes so you won’t have to worry about saving money on the daily fresh fish special (if you call a fish floating with one gill above the water, fresh). I have written several times about capital loss planning (see the third paragraph from the bottom of the post, “Creating Capital Losses – Transferring Losses to a Spouse Who Has Gains) where you have a capital gain and your spouse has an unrealized capital loss. If your situation meets the criteria in my post and you have, say, a $10,000 loss and your spouse has a gain greater than $10,000, you could potentially save almost $2,500 by undertaking this form of tax planning. That is a lot of cheap rolls of toilet paper. The only caveat for this tip is that you should probably get some professional advice to ensure you do not get tripped up by the technical rules with superficial losses. reimbursed, ask or convince your employer to issue this form so you can deduct any of your employment related expenses on your 2013 personal income tax return. Depending upon the amount of employment expenses you have been personally absorbing, you may save enough for a vacation, which to me is a lot more exciting than saving some money on steaks that expire that day. Income splitting can be as simple as spending the higher income spouse’s money on living costs and using the lower income spouse’s salary to invest, so any investment income is earned by the lower tax rate spouse. 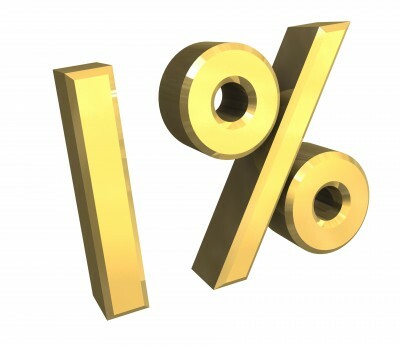 Alternatively, income splitting can be as sophisticated as utilizing a family trust or a prescribed loan, the rate is currently only 1%. 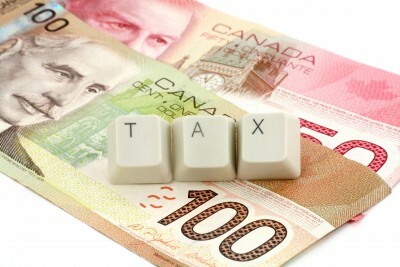 I have just briefly touched on a few simple opportunities to save money through tax planning. My point? Frugality takes a lot of time and effort, whereas many tax planning strategies require only a few hours of consideration. 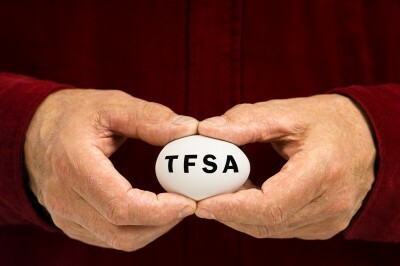 Even if you require an hour of time from an accountant to review your plan, the tax savings can be substantial.